Up to now in the Technical guides the supposed operational range was from -10 ºC to 50 ºC. However, we wanted to check wider ranges so we performed some new extreme temperature tests on the final products obtaining amazing results and leading our technology to support now a new range from -30 ºC to +70 ºC. Only standard products were used, with regular components. All of them were manufactured in Libelium and checked by our Quality Control department. Test durations were from some hours to 7 days in some cases. 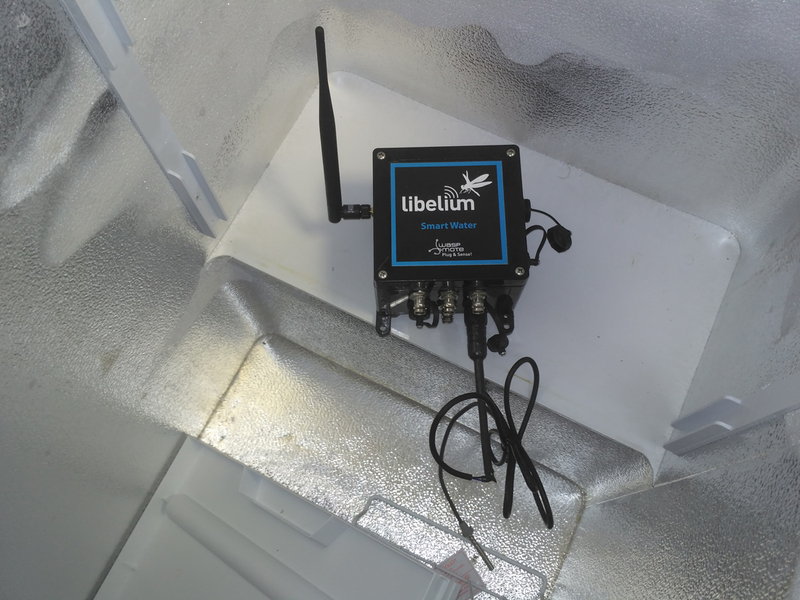 Libelium also performed quick changes in temperature, rising up from the freezer to the oven and also dropping fast from the oven to the freezer. These fast changes are necessary to ensure good operation not only in stationary conditions but in transient cases. 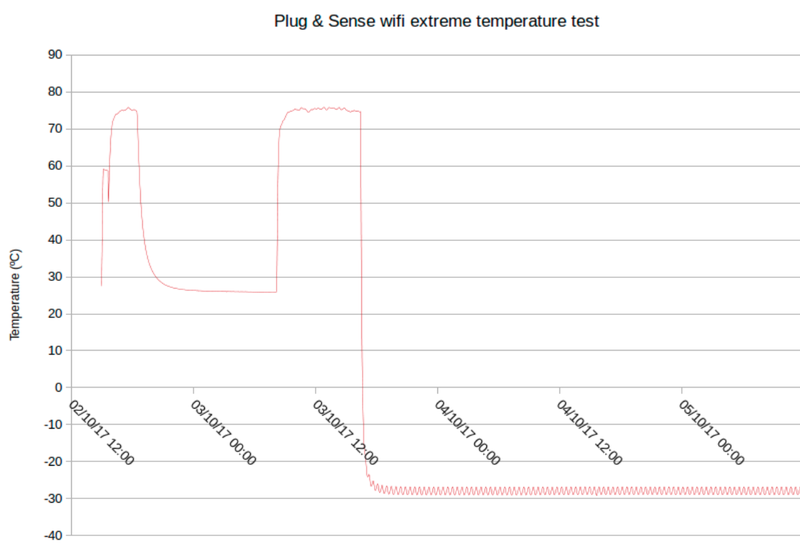 Battery is a sensitive element so we run every test starting with 2 battery levels: full (100%) and low (20%). Our engineers created software codes to check the main functionalities of each devices. Basically, an IoT node performs these 3 major actions: sleep, read sensors, send information. To be more accurate, the total cycle is composed of these 12 processes: sleep, wake-up, general configuration, turn on the sensor board, read sensors, turn off the sensor board, create data frame, turn on the radio, configure the radio, send frame, check successful communication, turn off the radio, configure the sleep mode. We created combinations of all different radios and all different models (sensor boards) to check the whole portfolio. Nodes transmitted their diagnosis and status frames to real receivers (Meshlium devices, WiFi routers and Sigfox/LoRaWAN/cellular base stations). Besides, we plotted images like the following ones to check the behaviour. All the tests were successful for the [-30, +70] ºC temperature range: no unwanted effects or abnormal operation were observed within this range. These temporary extreme temperatures are supported, but the regular recommended usage is [-20, +60] ºC, mainly because of battery limitations. Tests concluded successfully for the extreme range [-30, +70] ºC, being [-20, +60] ºC the recommended continued temperature range.